When interviewing Pablo Gamba, he introduced me to a little nice store he owns with his girlfriend Ana: La Dominga. Dominga, the feminine for Domingo, means Sunday in Spanish. It’s like Sunday’s girlfriend. 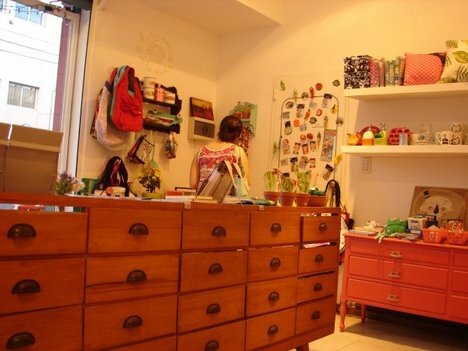 Or a place where we all would spend our Sundays, surrounded by colorful creative stuff. And it is all together in one place! It is a gift store, a place of design objects, some of them unique, we also have paintings, bags, cups and an infinite stuff of beautiful things. All of them are things you don’t need until you see them! It is also a place where we offer workshops and fairs. It’s a place where we can grow without boundaries and we can use it for whatever we want. How did it occur to you? Well, we’re a couple since 2003, we’re a good combination of action and talent. It’s been a while since we created Nuevas Ganas, a brand of products for kids and adults. What remains until now are Mascaritas magnets and Dondes maps. We also did Mostro chairs, racks, key rings, coasters and key chains, which we also reproduce every time Nuevas Ganas reappears. We did some fairs in different places, next to some designer friends. 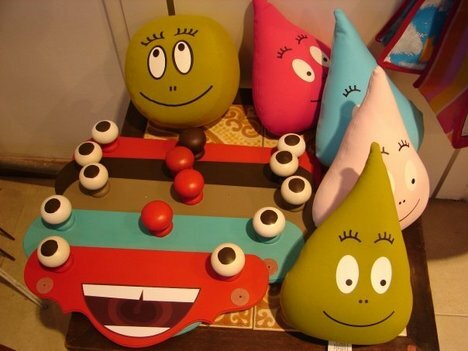 We love decoration and always wanted to have a store of our own, so finally in October 2009 we could achieve it. 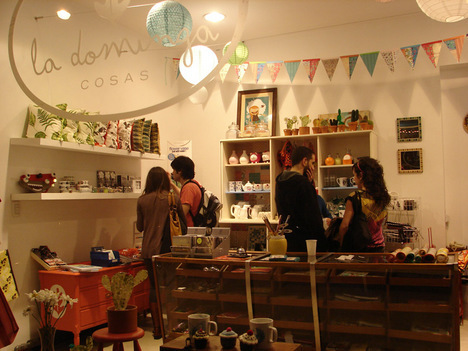 That’s when La Dominga was born, a store where we can offer everyone those things we love for ourselves. 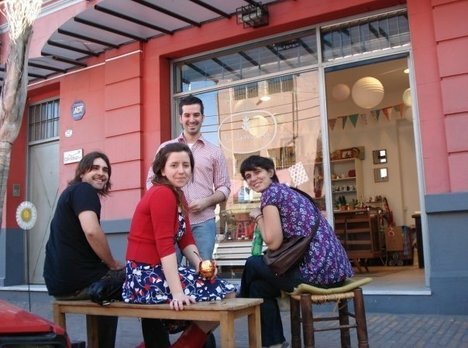 Why is it situated in Colegiales neighborhood? Because Ana was born there, we live together over a while now, and we love living there. The cobblestone streets, plenty of trees, we still can say hi to our neighbors by their names. That’s why we chose Colegiales, and it’s also close to our house! We noticed the absence of a place like this, where people can find original gifts and special decoration gadgets. What are the repercussions on the visitors? 98 of the people come in with a smile and leaves with a smile (despite grumpy people, which are everywhere). From the inside we listen to them as they walk by and say “what a nice little place!”, “Look at that, look at this”. They also tell us the neighborhood lacked a place like this. Many of them witnessed all the process from the paintings, the furniture, and the whole restoration. Most of them are neighbors. 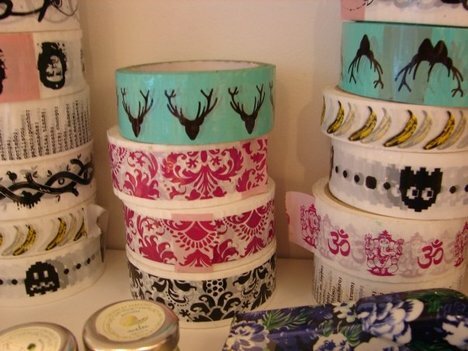 Many artists and designers brought us their products; they like to be sold there. What projects have you done and plan to do in La Dominga? Until now we use the second floor to do fairs, we sell clothes and accesories, and we also did a fanzine worskshop. We’re planning on upgrade the options of courses and workshops, we already have one of experimental calligraphy and we’ll add drawing, arts and makeup. What do you like most about the place? We like the facade, which is kind of retro in desaturated coral color. We love the furniture we restored, because they belonged to Ani´s grandmother. We love the exhibitor we got in an Internet auction. The brick lane. The light of both spaces. And above all, we love the fact that it is so close to home!